The past 5 years have been an adjustment time (personally, professionally and in your love life) as you plan your future, create art and work your magic on the public. Your ruling planet, Neptune, has been in your 1st House of image and remains there for years to come. Sometimes, your ruling planet in the sign it naturally occupies is considered a major time of change but also of great personal power for you. Neptune, your ruling planet, will retrograde once this year in your 1st House, Pisces. Neptune turns retrograde on 6/13 and remains retrograde in your 1st House until 11/20. This transit can manifest in several ways, Pisces. You could be feeling lost, off or confused/dazed or you might internally be conflicted about something or someone close to you.The effects of this movement are sure to be subtle but will effect you strongly since Neptune rules your sign naturally, Pisces. Realize that Neptune (your planetary ruler) can bring about some fogginess to your thinking/thought process and this retrograde could also prompt you to assess your spiritual beliefs, life, relationships and change the way you view the world we live in. Your imagination is your greatest asset during this time, so know that you are powerful and many wish to surround themselves with you. Neptune represents what is hidden in our lives, Pisces! During this very long transit, make sure you see your personal and professional relationships as they are, not how you wish or would like them to be. Neptune is also known as the planet of illusions and magic, so make sure you can decipher fact versus fiction in personal, family, social and professional endeavors and relationships. Something could feel off in a close relationship throughout this transit. This transit can make you feel the need to medicate, isolate or possibly indulge in too many drinks, too much partying and the need to escape the sometimes painful and harsh realities of daily living. Tone down any excess behaviors that remotely resemble this type of behavior for ideal results. Don't allow these types of behaviors get out of hand as these only dull your intuitive nature. Your intuition will be spot on accurate during the long transit of Neptune in your 1st House of image - the key is trusting it and watching out for those retrograde dates, Pisces! If you can accomplish this, this could be a year of great accomplishment in love, work and marriage. Uranus has been in Aries since 2011. Aries is your 2nd House of personal possessions, real estate, money, what you believe to be valuable, whether that is a person, place or something else that is important to you, Pisces.You can look back to 2011 and see how this transit is playing out for you, so far. You can expect to make more money but you could also spend it just as fast as you make it, Pisces. Either way, you learn to expect the unexpected when this planet tours through your 2nd House. Jupiter begins the year in Virgo. Virgo is your 7th House of marriage, legal papers, legal documents and anything relating to open enemies, divorce, marriage and justice. 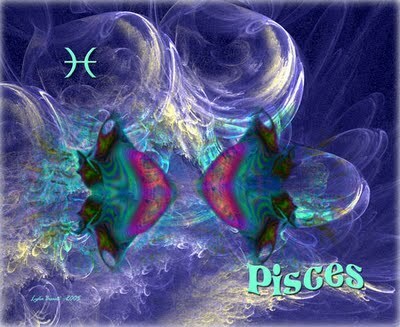 Jupiter co-rules your sign , so you tend to get lucky early in life, Pisces. With Jupiter in your House of marriage, expect expansion in these areas. It all depends on where you are in terms of your marital status. Single Virgo gets to be the center of attention in 2016 and his or her love life, single or coupled will definitely see expansion. Jupiter also rules belief systems, so its possible hat your views about these areas undergo drastic changes and if coupled, bring joy into your relationship. Singles will stand out and have many option to date serious suitors. On 9/9, Jupiter will enter your 8th House of Libra where Jupiter will remain in Libra until 10/10/17. Know your Houses - A simple reference guide I created just for you on how to understand your Houses in your Astrology chart that are all unique to your birth chart, Pisces. What does this all mean? It's important in Astrology to know your Houses. It's good to know this because it helps whenever you read, for example that Venus (the planet) is touring the sign of Cancer, All planets in Astrology that transit through the sign of Cancer) will always transit your 5th House and the 5th House is all about your creativity, children, fun, romance and taking risks, Pisces. Also, when the outer planets such as Neptune tour (Currently in Pisces - Your 1st House of image, appearance and your personality), Pluto (Currently in Capricorn - Your 11th House of friendships) and Uranus (Currently in Aries - Your 2nd House of money, personal possessions and real estate) you can begin to see how Astrology works on a more comprehensive level. You will find the cardinal signs of Aries, Cancer, Libra and a Capricorn intriguing. You learn about money with Aries while a Cancer relative or good friend and you enjoy laughter, engage in hobbies together and feel content in one anothers' company and go to all of the best places and restaurants together. A Libra and you (Pisces) can make discoveries, explore mysteries and tune into subjects considered taboo. A Capricorn is an associate that also happens to be a close friend. You finding one another fascinating and can stand to learn much from each other. Prepare to wind down at years end as were leaving behind a Number #9 year and entering a year of # 1. Expect to see action and major life changes in February and March. Happy New Year!